Enjoy access you couldn’t hope to achieve as an independent traveler with the help of your personal translator/guide on this private Atlas Mountains day trip. Soak up views of Mt. 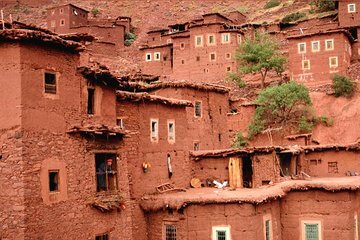 Toubkal, explore Berber villages, and enjoy true North African hospitality as you savor a Berber meal with a family in their home. Your package includes door-to-door round-trip transfers by 4WD.